Lock in a great price for Stop & Sleep Bergamo – rated 8.7 by recent guests! Our host Roberto was really nice, friendly and helpful with us, he gave us some advices about really nice places to eat and visit. You feel like at home. The property is really clean, comfortable and in a really good location close to downtown. The staff. The room and house, the old building inside which we felt old atmosphere. Breakfast was OK, standard: milk, cereals, toast, jam, cookies and yoghurt. Very good coffee. Host was very kind and polite, gave us very useful dining and sightseeing directions. Great location, close to the train station. Excellent place for this price. Very good contact, clean room and for sure The Location (near bus/train station..5-10 minutes walk). Everything was excellent!!! Thanks for Caffe Roberto!!! Very nice place with awesome host! Roberto is very open, friendly and helpful 🙂 The place is clean, spacious in very good location (near bus/train station and the city centre). Convenient and affordable for group. Extremely nice and patient host. Stop & Sleep Bergamo is located in a central area of Bergamo and 1,300 feet from the train station, it offers a good location filled with shops and restaurants, free Wi-Fi throughout. All rooms at Bergamo Stop & Sleep are decorated in a classic style and fitted with tiled floors. Each comes with an LCD TV and a fan. Breakfast is self-service. In the kitchen guests will find an electric kettle and instant tea/coffee/cappuccino coffee ingredients. Food includes bread, jams, butter, yogurt, milk and cereal. Staff can arrange shuttle transfer to/from Orio Al Serio Airport. Busses to the airport also leave from the train station. 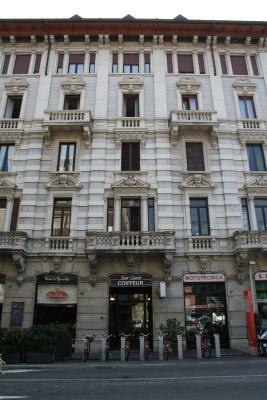 뀐 Located in the top-rated area in Bergamo, this property has an excellent location score of 9.2! 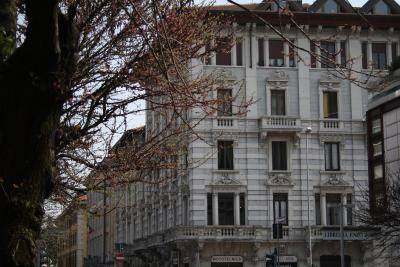 When would you like to stay at Stop & Sleep Bergamo? This room features free Wi-Fi, a flat-screen TV and a fan. This spacious room features free Wi-Fi, a flat-screen TV and a fan. Composed of 2 triple rooms or 1 quadruple and 1 double room with 1 bathroom. B&B Stop&Sleep is a Bed and Breakfast, is a large, spatious aparment located in a amazing first '900 building. House Rules Stop & Sleep Bergamo takes special requests – add in the next step! Stop &amp; Sleep Bergamo accepts these cards and reserves the right to temporarily hold an amount prior to arrival. Stop & Sleep Bergamo accepts these cards and reserves the right to temporarily hold an amount prior to arrival. Please let Stop & Sleep Bergamo know your expected arrival time in advance. You can use the Special Requests box when booking or contact the property. Very nice place and amazing staff! Bed is twin-joined, not big one. You could think of some solution to prevent it from moving apart in the middle. It was a little loud at night because of the noises coming from the nearest street. The place is located next to a busy streets - ear plugs recommended. And I mean not only the traffic but also some unidentified machinery operating at night. In the middle of the night the alarm clock in the hall got activated (maybe just a cheesy hostel prank - however, after a good dinner with a lot of wine worked even too good) and I had to get up and disarm it. 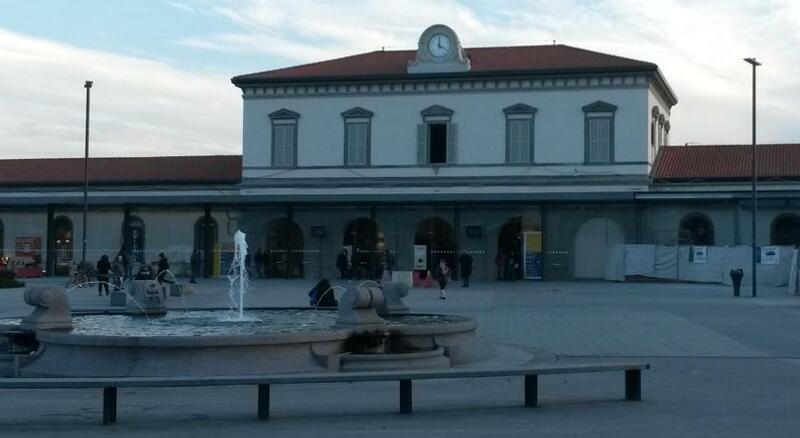 The object is perfectly located within walking distance from the most interesting places of Bergamo. Moreover, our landlord provided us with tips regarding dining which helped us to choose wisely from the variety of this kind of attraction in this charming city. There was a lot of available towels and linen and basic product for a small breakfast and coffee. Beds comfortable and not wrecked by hundreds of predecessors. An optional (extra cost) closed parking place may be a good choice in case of underinsured rental car. City bikes station next to the entrance to the building. Despite the flat itself is a bit used up, it is clean and efforts to keep it cosy are evident. Good quality, fast Wi-Fi. Location + perfect service immediatelly at arrival tothe end of our stay. Excelent job! 100% of our expectations! Everything fine, breakfast, coffee, good localization. First of all, the owner of the property is very very friendly and helpful. He recommends You all the nicest local restaurants and other places. Moreover, the apartments is near the station and not so fat from the old town. So it can easily reached by foot. Few supermarkets are near this property too. Also good italian breakfast is included so You don't need to worry about that.